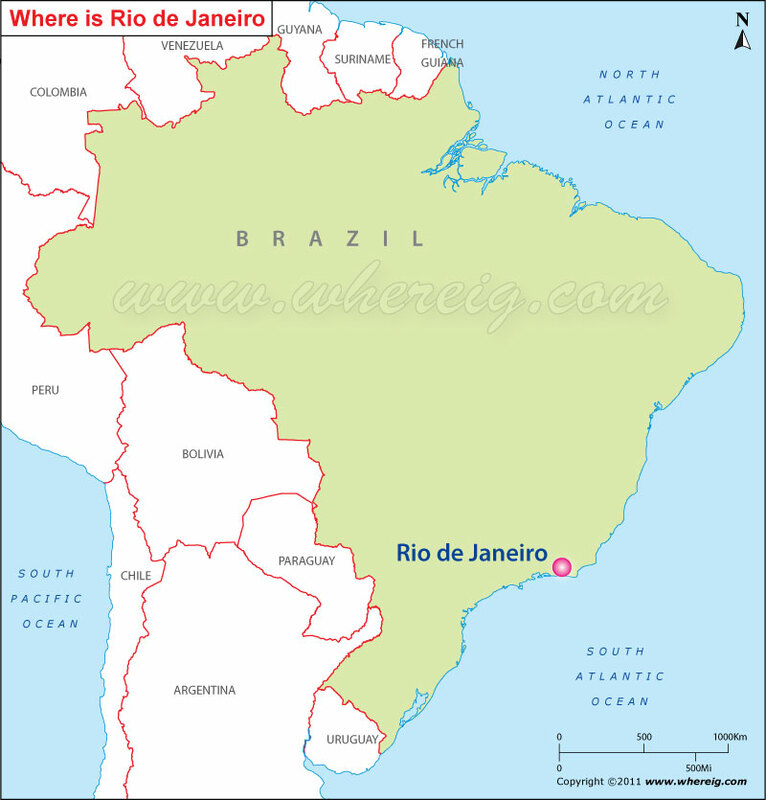 The given Rio de Janeiro location map shows that Rio de Janeiro is located at south-western coast of Atlantic Ocean in the south-eastern region of Brazil. It is the capital city of the state Rio de Janeiro. Rio de Janeiro is the second largest city of Brazil. Interestingly, in the past Rio de Janeiro was the capital city of Brazil almost for one and half centuries i.e. from 1763 to 1815 Rio de Janeiro is more popularly known as 'Rio' and the nicknamed is the Cidade Maravilhosa or "Marvelous City". The city Rio is important business center and largest conglomerate of media and communications companies of South America. Besides, it has several universities and institutes; it is also the second largest center of research and development in Brazil. Moreover, Rio de Janeiro is the most visited city in the southern hemisphere because of its natural settings, samba, Bossa Nova, balneario beaches such as Barra da Tijuca, Copacabana, Ipanema, and Leblon, and also for carnival celebrations. Furthermore, the city is known for plenty of landmark features including the giant statue of Christ the Redeemer ('Cristo Redentor') atop Corcovado mountain, named one of the New Seven Wonders of the World; the Sambodromo, a permanent grandstand-lined parade avenue which is used during Carnival; Sugarloaf mountain (Pao de Acucar) with its cable car; and Maracana Stadium, one of the world's largest football stadiums. The final match for 2014 FIFA World Cup will take place at Rio's Maracana Stadium and Rio de Janeiro will also host the 2016 Summer Olympics that will definitely marked as the first time a South American city hosts the event.